Hillary never shows any form of real empathy – every ounce of empathy she’s ever expressed was only a reflection off of her own vanity and pride. Stated by Hillary Clinton during aconference on domestic violencein San Salvador, El Salvador (17 November 1998). Hmm.. 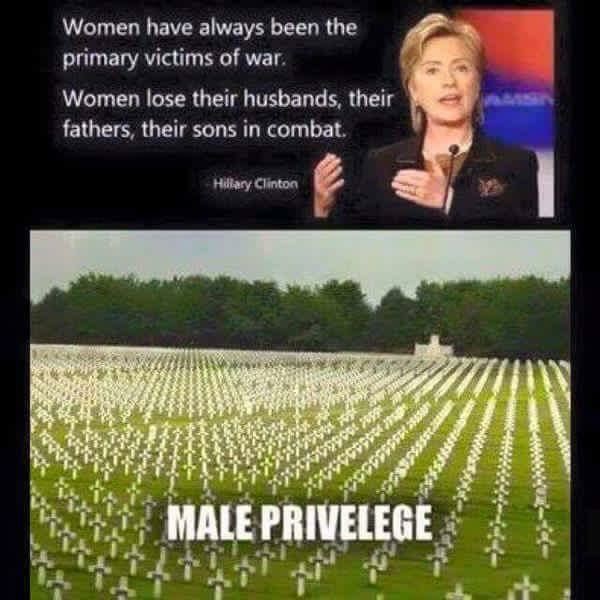 I guess no woman has ever died in combat? Look at Hillary’s comment – she’s flat-out stating that women are getting a raw deal for surviving, when the alternative is to be propping up one of those crosses. It may be mostly chauvinistic, but men have always tried to keep women OUT of war specifically so they wouldn’t be under those markers.